Happy Happy Happy Valentine's Day! I hope today is a great day!!! A lot of times we get wrapped up in the retail part of the holiday. We need to remember that today is about love. You cannot truly love anyone without loving yourself, so tell yourself nice things today and make yourself happy! I know I plan to. Today shouldn't be about spending money. It should be about doing nice things for the people you care about. One of my students drew a picture of him and I holding hands. It said, "Every second, of every minute, of every hour, you make me smile!" Let me tell you that this picture has made me so much happier today than any flowers, candy or other treats. That picture will be one of the most special things I will receive as a teacher. 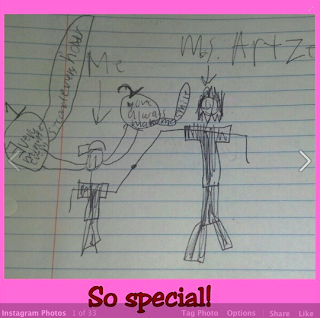 As a fifth grade teacher, students rarely draw pictures for their teachers because they are just "too cool!" Well, thank goodness this boy did! It made me smile all night last night! I sincerely hope you get to spend time with the people who matter most in your life. I will be at our Middle School Talent Show tonight with my best boy... my son. And I think we will be going out to his favorite burger place before we go. God, help me to be good! I have a Diet Bet to win! I have also been working out online with Fitnessglo.com. It's been a lot of fun and I have gotten to do some different types of workouts. 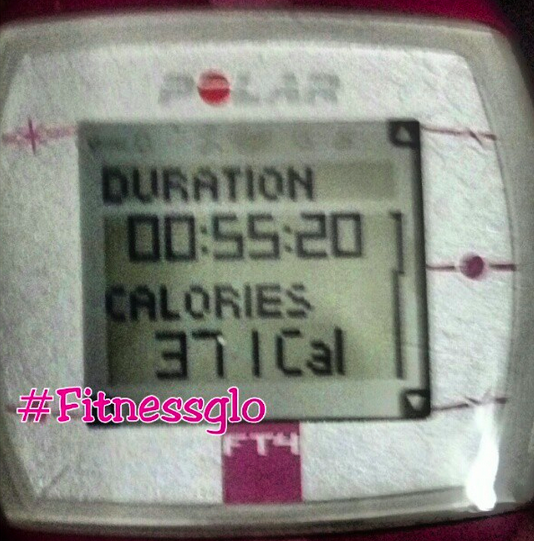 Pay attention next week because I will be offering a giveaway to a subscription to Fitnessglo.com. It should be fun! I found this video from Lorna Jane and had to post it. It is great. I will show it to my students today when they come into class. Congratulations to our Iron Girl Half Marathon Winner! Erin Jimenez! It is funny because I swear that every single time I had a twitter notification, it was her tweeting about this giveaway! When I clicked Rafflecopter's pick a winner button, I thought, "Well I guess we will see if the odds are in Erin's favor!" And they were!!! Congrats Erin. I will contact you soon to get your info! I've seen there are Barre classes on Fitnessglo, cool! 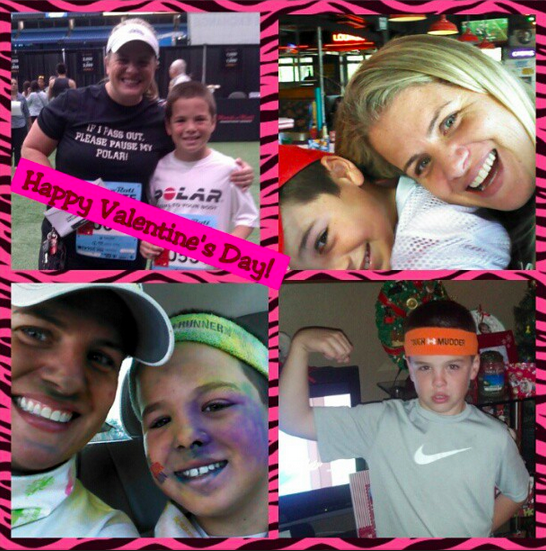 Happy Valentine's Day Mindy and Bryce! That note from your student is so sweet!!! And I love that video! Congrats to Erin!!! aahh!! I'm SO excited! haha I wanted to run that race SOOOOOO badly too! :) Thanks Mindy. Food Prep? Done with Diet-to-Go! Getting the family fit and 2 giveaways!!! Gearing up for my next half marathon!